Summer holidays can consist of sugary and fizzy treats whilst children are not in school. However, as we are now approaching the end of the summer holidays it is important to ensure we do not damage our children’s teeth as we get ready for the back to school period. 1. Almost half of 8 year olds have visible signs of decay on their teeth. To prevent this from escalating ensure children brush twice a day for two minutes using a fluoride toothpaste. 2. Not all healthy drinks are as healthy as you think. There have been cases of “healthy drinks” containing the same amount of sugar as a can of Sprite! Why not change this for a glass of milk? 4. The amount of children with plaque has decreased by 10% in 10 years. If this continues plaque could be eradicated by 2079! 5. Only three quarters of children say they brush their teeth twice a day. School and nurseries are highlighting this issue to children in hope of raising this figure. 6.One in seven children have severe or extensive tooth decay. It is important to develop a good daily oral health routine from a young age to help prevent tooth decay in the future. 7.English children have the best teeth in the UK. A 10% increase of the UK population are receiving water with higher levels of fluoride, helping to improve dental health. 8.The earlier you start sending your child to the dentist the more relaxed they will feel. One in seven adults suffer from a fear of the dentist. Children sense fear in their parents, therefore to prevent this from happening encourage children to visit the dentist as early as possible. 9. By the age of two and a half all baby teeth should have appeared. A trip to the dentist is necessary as soon as baby teeth begin to appear, to get the best start in their dental health. 10. 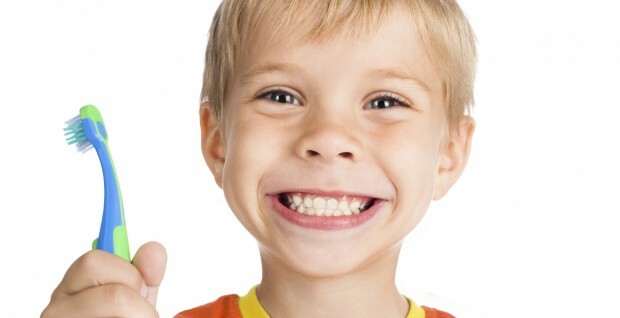 Bad teeth put off children from smiling. More than one in three 12 year olds are embarrassed to smile due to the condition of their teeth. As you can see there is room for improvement in children’s dental hygiene. Therefore, it is important to ensure children are aware of the significance of dental hygiene.